For those arriving in Rome by plane, there are lots of options, from low cost airlines, the Italian airline Alitalia and many companies from all major cities in the world. The airport of Fiumicino and Ciampino Airport is not located near the city center but are perfectly connected with the train. For several years is on a train that connects Fiumicino airport with only the Termini station. Thanks to “Leonardo Express” will be allowed to fly non-stop from the airport of Fiumicino to Rome’s central station in less than 31 minutes, at a price of € 11. The train leaves every 30 minutes. 22 and 52 were from Rome Termini to the airport of Rome Fiumicino 06 and 36 from Rome’s Fiumicino airport to Rome Termini station. 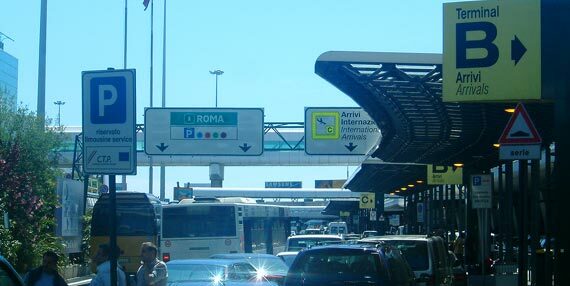 The Roma Ciampino airport is not so well connected but can be reached by Metro from Termini Station to Ciampino railway station in 15 minutes. From the station of Ciampino airport you can take a bus from the cost of 1 euro and 5 minutes to the airport. Images Flickr Creative Commons License.